Seven years after she was acquitted of murdering her daughter, Casey Anthony has revealed she is planning a reality show in the new year called 'Casey Moving Forward'. Anthony, 32, was branded the most-hated mom in America during the six-week trial over the death of her two-year-old daughter Caylee in 2011 in Orlando, Florida. 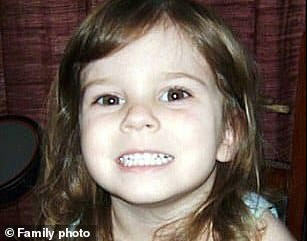 Caylee's skeletal remains were found in a trash bag in December 2008, close to the family home. Anthony was accused of murdering her daughter to get out of her parental responsibilities. She changed her story throughout the police investigation and accused her father George of sexually abusing her in a defense strategy that shocked the nation. Until this year, she has led a low-key existence living in West Palm Beach, Florida, at the home of private investigator friend Pat McKenna who worked on her defence case. But now in a relationship with West Palm Beach bartender Antony Karagiannis, 38, she has revealed on a private twitter page, exclusively seen by DailyMail.com, her plans to become a reality show star.